The Phoenix Patriot Foundation Cycling Program’s Mission is to serve post-9/11 severely wounded and injured veterans enabling their cycling ambitions by providing them with a welcoming community of support. Program members help to bring attention to the needs of veterans and support fundraising activities to provide adaptive cycles for combat wounded veterans including custom adapted cycles, hand-cycles and recumbent cycles in addition to team jerseys so that veterans can participate in our program. The program members are veterans training veterans, and riding as a group in the community provides a method of reintegration, builds endurance and strong methods for reconditioning. With our sponsors, partners, and volunteers we aim to inspire, motivate, and empower wounded and injured veterans to reach their own finish line and become a source of motivation and guidance for their communities, peers, and veterans nationwide. The Phoenix Patriot Foundation Cycling Program is devoted to providing wounded and injured veterans the resources they need to achieve their cycling dreams and goals. We motivate and inspire veterans by providing them the equipment, guidance, coaching, and infrastructure to catalyze their journey. The Phoenix Patriot Foundation Cycling Program members are diverse network of veterans a civilian volunteers, sponsors, and corporate partners. If you are interested in joining the Phoenix Patriot Foundation Cycling Program, please contact Guy McDermott at guy@phoenixpatriotfoundation.org . Through your donation, you directly affect the recovery and rehabilitation of wounded and injured veterans by giving them the opportunity to reconnect with a passion and quality of life . We are happy and eager to discuss individual and corporate sponsorships at any level. If you would like to become a sponsor for the Phoenix Patriot Foundation Cycling Program, please contact Guy McDermott at guy@phoenixpatriotfoundation.org to discuss how you and your business can contribute to this truly noble cause. Please tell us a little about yourself and your interest in the Phoenix Patriot Foundation Cycling Program. 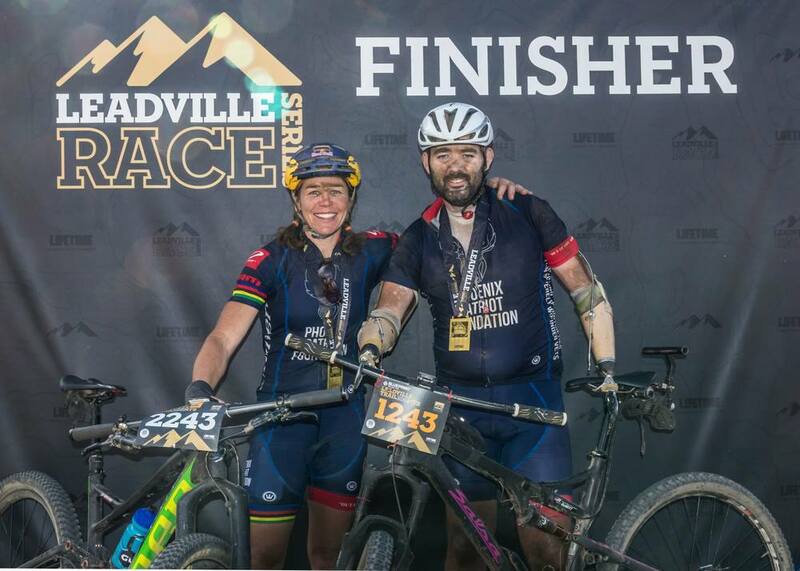 Phoenix Patriot Foundation's Cycling Program's commitment to veterans has been rewarded with participation in world class cycling events by combat wounded veterans, with a stunning finish by double amputee Matt DeWitt in the Leadville 100 Mountain Bile Race in August of 2015. We want to expand the Cycling Program with new veteran members and develop outreach activities. Through our outreach and race participation, we have had the opportunity to inform the public about the needs of veterans and Phoenix Patriot Foundation's mission. There are may ways people can get involved. We look to grow our presence on the regional and national endurance racing calendar, hoping to make a repeat visits to the Leadville 100.